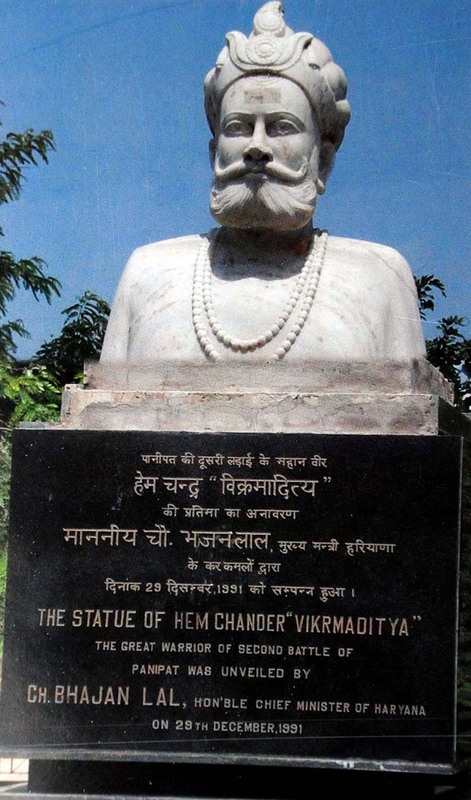 With his win at the Battle of Tughlaqabad, Hemu became the emperor of India and took the title of ‘Vikramaditya’. The 1500s were strange and turbulent years in India. In 1526, Babur, who succeeded his father as the ruler of Farghana, defeated Ibrahim Lodhi and established the Mughal reign in India. Babur’s era, however, was a short-lived one and after him, his beloved son, Humayun took over the reins. An able administrator, Humayun, became the Mughal King when the country was going through a major turmoil between the Afghans and the Mughals. Many historians sing laurels of Sher Shah Suri’s administrative capabilities. His successes in communication and transportation were followed by all the Mughal Kings later. He restored peace to the country and brought in an effective espionage system. The rule of Sher Shah Suri, however, did not last long. While fighting the Rajputs in Kalinjar, a grenade rebounded into a heap of hand grenades. The explosion burnt Shah badly and he died an accidental death. After the death of Sher Shah, his second son Jalal Khan was crowned the king, who adopted the title of Islam Shah. Although he faced opposition from the nobles and his elder brother Adil Khan, he acted quickly to upgrade the army and artillery to respond to any threats. He died an unfortunate early death in 1552 from a fistula. Before Humayun reconquered Delhi, there were three Sur kings in succession, but the real power lay in the hands of Hemu. Hemu was a saltpetre dealer from Rewari, Haryana. Not much is known about his early years from the medieval court documents, but his rise was swift and courageous. Under the rule of the Sur Kings, Hemu took different roles and posts, earning experience — administrative as well as soldierly. At one point, he was appointed the chief of Intelligence and even superintendent of posts. Humayun left Kabul in November 1554 and captured Lahore in 1555. His aim: To regain his hold on India. The Afghans resisted the Mughal onslaught, but met with ultimate defeat and on July 23, 1555. Humayun sat on the Delhi throne once again. But as fate would have it; around six months later, Humayun died while descending from the roof of his library, where he had gone to observe the rising of the Venus on January 20, 1556. What soon followed was Hemu’s ultimate rise to power, leading to the second battle of Panipat over four hundred and sixty years ago, in 1556 AD. Hemu was in Bengal when Humayun died and he swiftly began his march against the Mughals, winning principalities that lied in between. At Hemu’s advance, the Mughal governor at Agra fled to Delhi. Hemu followed him to Tughlaqabad, where the Mughal governor of Delhi, Tardi Beg, came out to give him a fight. With some initial victory, the Mughal troops dispersed to plunder. Tardi Beg was left with little force to protect him, when Hemu with 300 elephants and cavalrymen made a charge to the center and won the day. A Hindu general at the centre of power in Delhi! Before his death, Humayun appointed his son, Jalal, or, otherwise popular as Akbar, as the governor of Punjab. At the young age of 13, under the guidance of his mentor and Humayun’s confidante, Bairam Khan, Akbar learned the basics of administration. They were fighting in Kalanur, modern-day Gurdaspur district when Akbar heard the news of his father’s death. 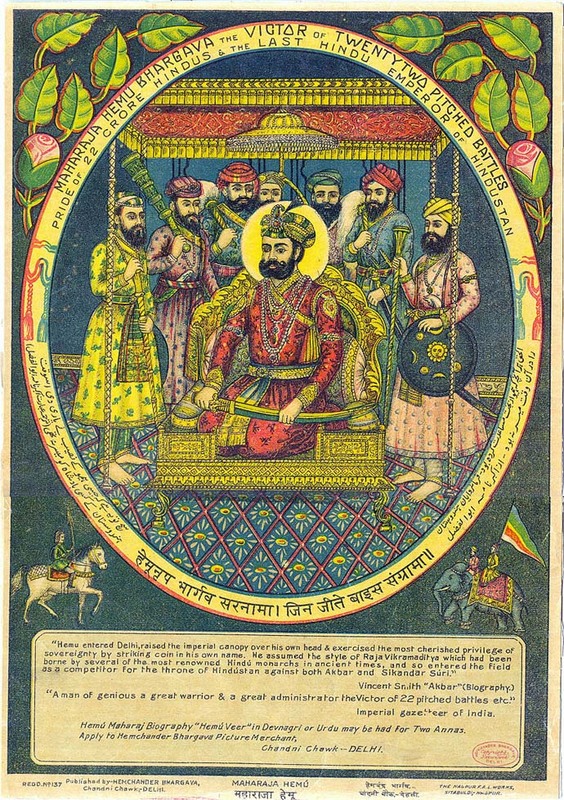 Bairam Khan crowned Akbar King on February 14, 1556. The news of the fall of Delhi after the Battle of Tughlaqabad (Battle of Delhi) reached Akbar, who was then in Jalandhar. The Afghans under Hemu drove Mughals out of Agra and Delhi region. Akbar’s army was small and he was suggested by advisors to retreat to Kabul. Later, the army of Hemu met Akbar’s forces in Panipat. 30 years ago, it was here that Akbar’s grandfather Babur had defeated the last Sultanate Lodhi and instated Mughals as the supreme power in India. Panipat hence was ready to revisit those years! Panipat which is less than 100km from Delhi has been a witness to three epoch-changing battles in our medieval history. The first founded the Mughal rule in 1526 AD, the second in 1556 AD, and the third in 1761 AD — which was the defeat of the Hindu Marathas at the hands of Ahmed Shah Abdali. The large tract of land on the banks of the river Yamuna wrote fortunes of the Mughal emperor, Akbar. Go a little further down the memory lane — one would easily surmise that Haryana was the centre of the North Indian civilisation. Hemu sent artillery in advance towards Panipat. Not very well-guarded, the artillery faced Akbar's advanced force, led by Ali Quli Khan Shaibani. Akbar’s force deceived and hit the Afghans hard, who fled away abandoning their guns, without making a strong stand. An initial reverse for Hemu, but that did not shake his resolve. With 30,000 loyal and proud Rajput and Afghan horsemen who had seen major victories in the last many months, Hemu moved forward with confidence. On the other side stood Bairam Khan as Akbar’s guardian whose forces were being led from the centre by Ali Quli Khan. 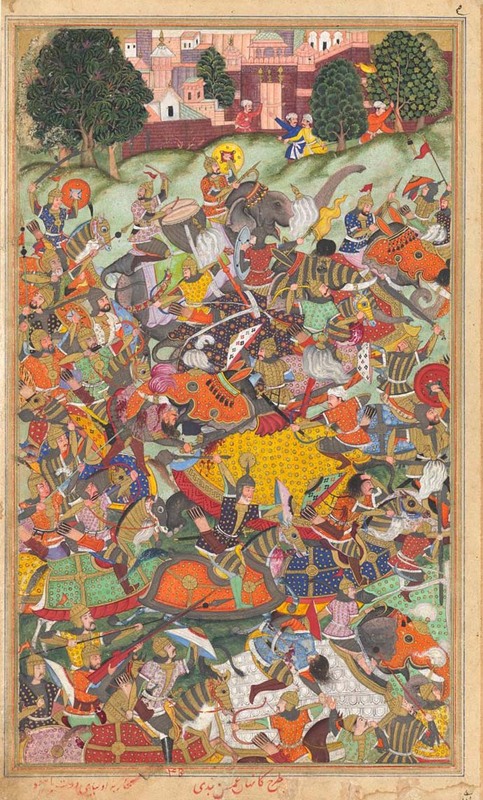 As the battle began, the Mughal right-wing and left-wing were dispersed by Hemu’s elephants. The Mughal forces faced reverses, but swiftly moved aside, rode towards the end and started an attack from behind. Their superior archery shook Hemu’s cavalrymen and dislodged many men from the backs of the elephants. As the day took on, the Mughal centre kept a stronghold; Ali Quli Khan lunged with his men on the Afghan forces from behind. During the ensuing action, Hemu with his chieftains charged his elephants towards the central command of the Mughal forces. “But the soldiers of Islam received him with a shower of arrows, and Hemu in those circumstances, with his head bare, like on bitten by a mad dog, kept shouting his battle cry ‘give and take’ and also repeating a charm which he had learned. Suddenly the arrow of death, which no shield can ward off, struck his squinting eye…” writes Badauni. The blood from his eyes was seen by Afghans alongside. Although he pulled the arrow out, bandaged the eye with a scarf, ordered the battle to go on; he soon fell unconscious. In the high of battle, otherwise in a better position, lost their supreme commander. The fall of the Vikramaditya Hemchandra ended the battle and the Afghan-Rajput soldiers dispersed. 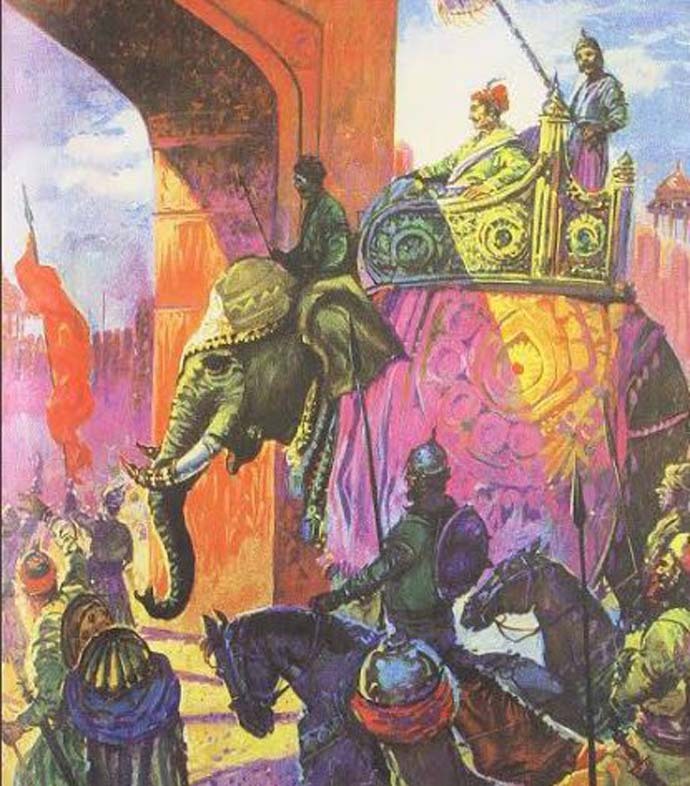 Shah Quli Khan Mahram happened to meet Hemu’s elephant. The elephant-driver said to him, “Do not kill me! Hemu is riding upon my elephant!”. Hemu was brought to the camp as he was. Many suggested Akbar that since it was his first war on the infidels, he should kill Hemu. That is when Bairam Khan with a big blow ended the life of the Afghan leader. By the help of God captured that black-faced Hindu Hemun. Hemu’s religion was characteristically written and his story is inconspicuous in our History textbooks. Hemu died as a warrior on November 5, 1556. The grit, ambition and courage Hemu displayed over his lifetime are worth remembering, even hundreds of years from now. Academic by profession, my interests lie wide and deep. I teach Geology and my research focusses on Palaeontology, Sedimentology and river Saraswati.